With Expo 2020 coming to Dubai soon, and the World Cup in 2022 in Qatar, the MENA region will be attracting more talent and creating more jobs than ever. However, finding the right people with the right skill set has proven to be difficult for local and regional companies, particularly in challenging markets like Saudi Arabia, UAE and Qatar. 1. Professionals are looking for jobs on social networks, but not all employers are there. Social networks are the number one platform professionals are using when looking for opportunities and researching a company before applying for a job or joining a team. But, employers in Saudi, UAE and Qatar are lagging behind in the use of social media for recruiting. Platforms employers are using when posting openings and professionals are using when looking for new opportunities in the UAE. What you can start doing: Get on your company’s Facebook, Twitter, LinkedIn and Instagram page and work with your social media team on building a content strategy to attract the right talent into your organization. 2. There’s a gap between the skills employers perceive as important and the ones candidates perceive as important. Analytical skills, technical expertise, creativity and openness to other cultures are the top skills employers in the UAE, Saudi and Qatar are looking for in candidates. On the other hand, strong analytical skills, relevant education background and effective time management are skills that professionals consider most important in the UAE, Saudi and Qatar. Important skills in Saudi Arabia according to employers and professionals. What you can start doing: Identify the skills that you think are the most important when looking for candidates and highlight them in the job description. Make sure your transparent with candidates on the requirements of the role before and during the recruitment process. 3. Nationalization is key, but the initiative still hasn’t been implemented proactively in all countries. Nationalization is a hot topic in MENA, but the results show otherwise for the UAE and Qatar. 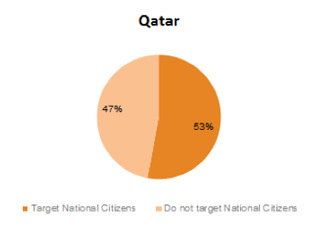 In fact, only 28% of employers in the UAE are targeting nationals and 53% in Qatar. On the other hand, 80% of Saudi employers are targeting Saudi nationals in their recruiting strategy, which puts these organizations in a good position with government entities. 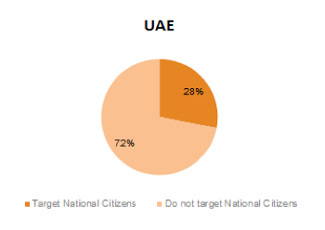 UAE: More transparent recruitment process and a clear job description from the beginning. Saudi: Clarify the requirements in the job description in order to find more suitable candidates. 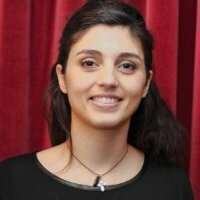 Qatar: More transparent communication during the recruitment process. Start the discussion with your social media team to see how you can get involved in building content targeted to candidates. Source and plan your hiring strategy. Think about the long term and start building a talent pipeline that you can tap into later on. Post your jobs in front of the right candidates. LinkedIn’s algorithm will only expose your jobs to the right talent. Download our free Talent Gap Report to find out more about the results of the survey and learn how you can get ahead of the game.